Yes. There is a right way. It's so important to cut your food in equal pieces so it will cook evenly. Ever been eating homemade spaghetti and all the sudden there is a chunk of something that just doesn't belong? Ugh. Memories of food prepared by family members (who shall remain nameless). I have actually started using this technique on strawberries too and HOLY COW it makes chopping strawberries so easy now. You can make your dices as big or as little as you want. 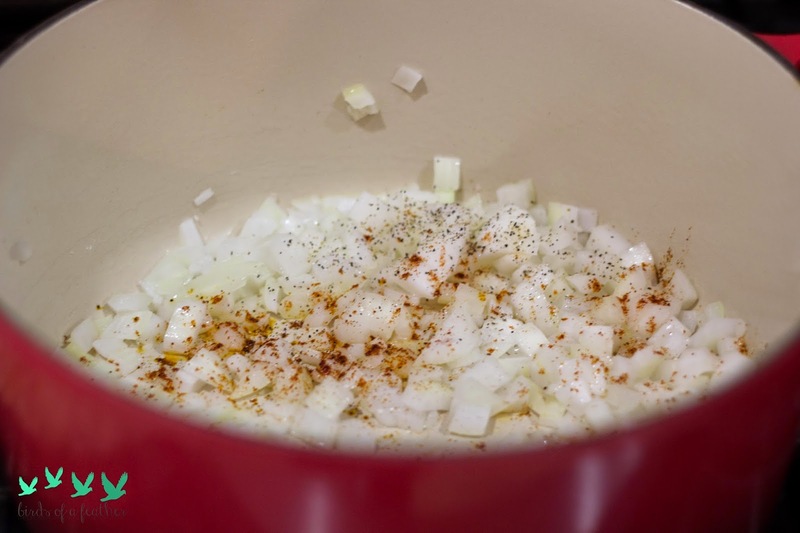 I would suggest larger pieces for chili, soups or spaghetti sauce. 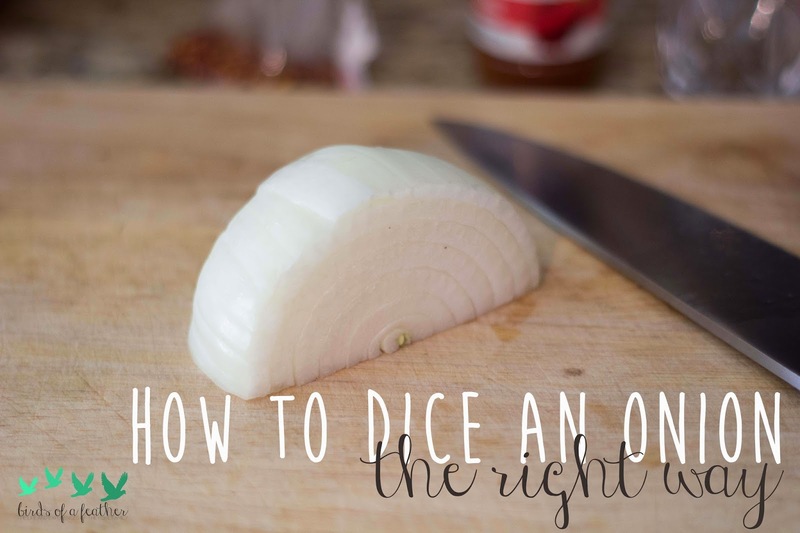 Use smaller dices for pico de gallo and chicken salad (if you put onion in yours). 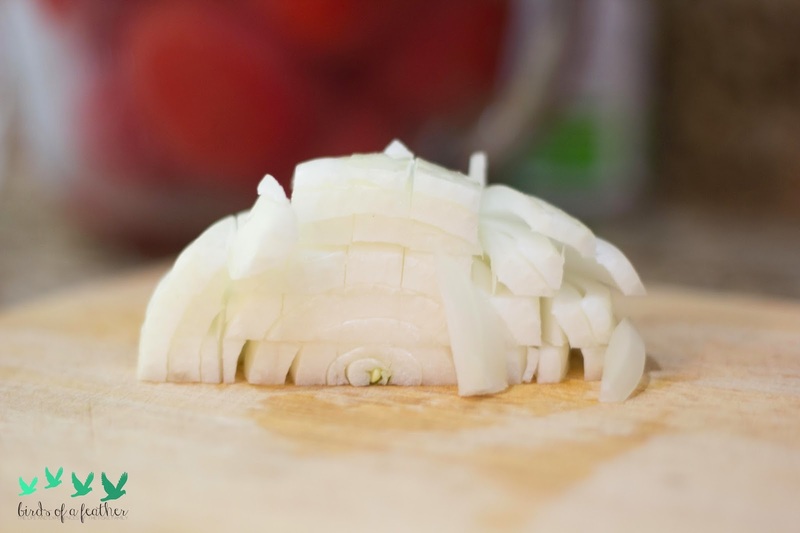 Cut your onion in half right down the middle, leaving the core in tact on both sides. 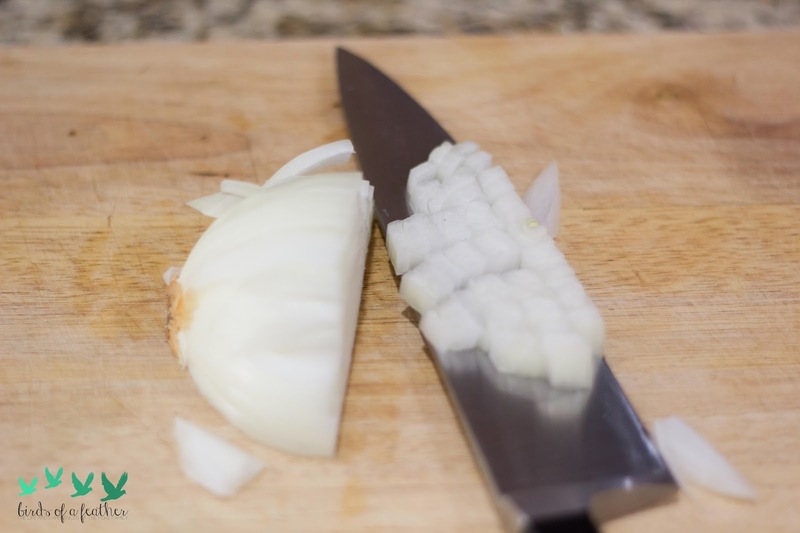 I'm starting with a 1/4 of an onion but if you are starting with a whole onion then cut it in half and then start the steps below. 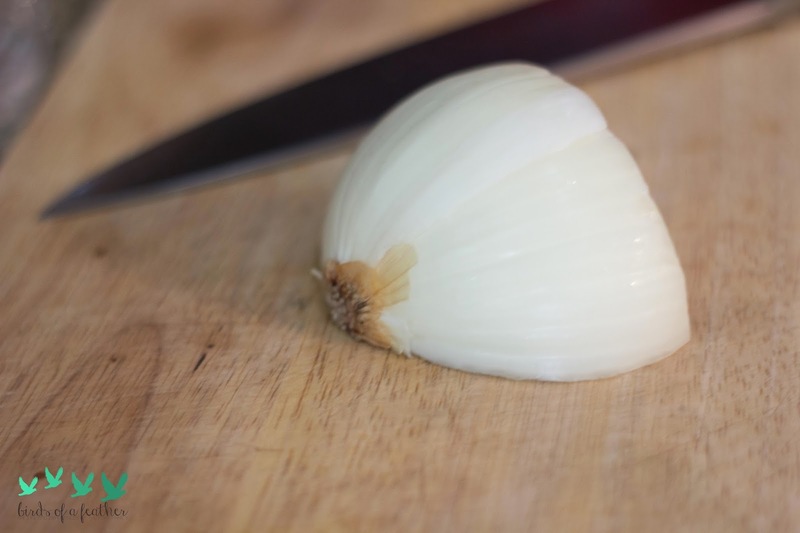 Place your hand on top of the onion to keep it from sliding all over the place. 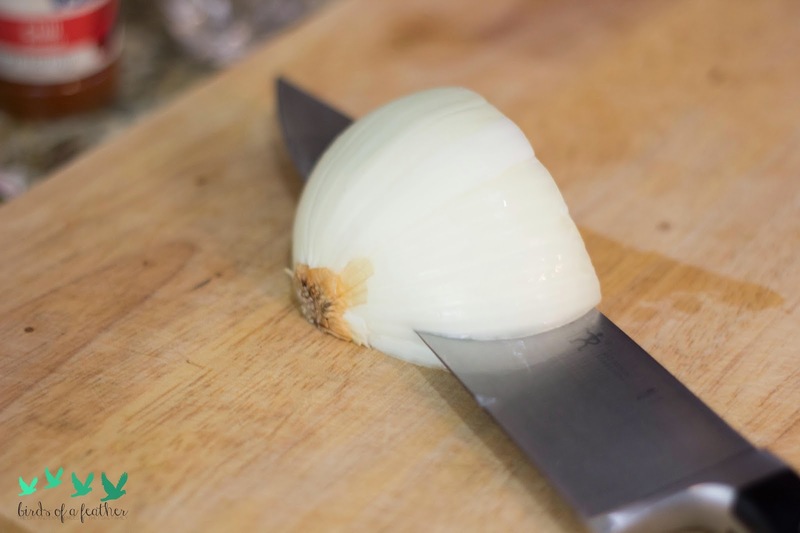 Run your knife through the onion parallel to the cutting board, stopping just before the core. I usually make about 4 slices from top to bottom. 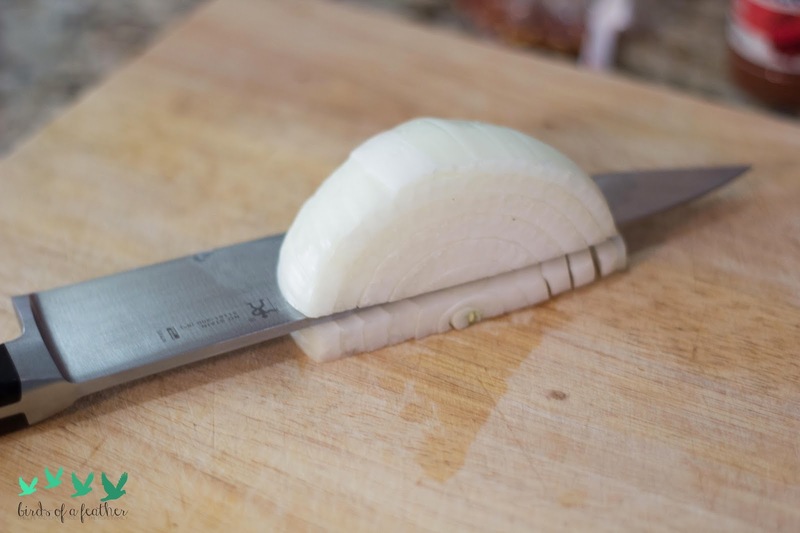 Now make cuts perpendicular to the cutting board, remember to stop right before the core. 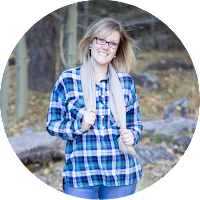 You can see those little dices just waiting to be free! 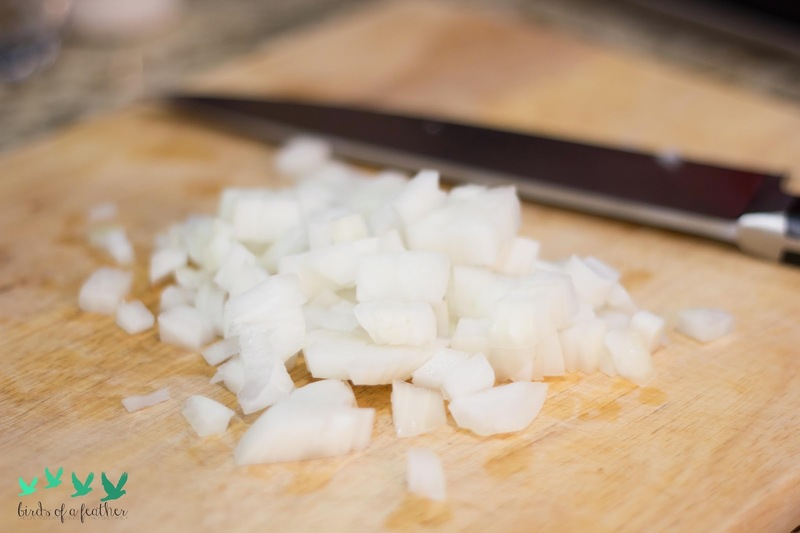 Now turn your onion and cut your dices! Pretty easy huh? 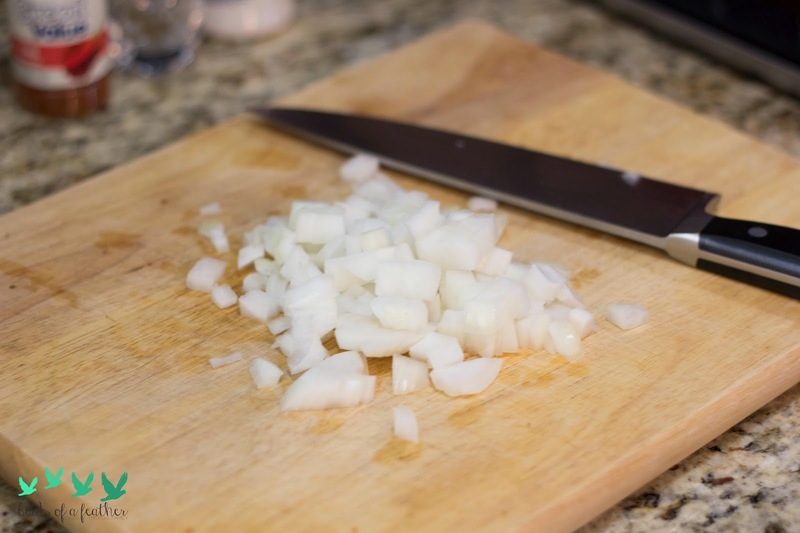 These onions went into the pot to make my Spicy Red Pepper Marinara. Recipe coming soon!